Polasaí maidir le Caomhnú Leanaí. Glacann an Bord Bainistíochta leis go bfuil fiorthábhacht le caomhnú leanaí agus leas leanaí maidir le gach gné de shaol na scoile agua nach mór sin a bheith le sonrú ar pholasaithe, modhanna oibre agus beartaíocht uile na scoile. Da réir sin, ag teacht lena n-éilítear faoi ‘Nósanna Imeachta maidir le Caomhnú Leanaí i mBunscileanna agus i Scoileanna Iarbhunscoie’ na Roinne Oideachais agus Scileanna, ta an polasaí seo a leanas maidir le caomhnú leanaí aontaithe ag Bord Bainidtíochta Gaelscoil Osraí. mar chuid den pholasaí ginearálta maidir le caomh ú leanai. Cloífidh an fhoireann uile le polasaí féitheoireachta na scoile chun a chinnitiú go ndíantar féitheoireacht chuimsitheach ar leanaí ag na sosanna uile. Déanann an máistir an féitheoireacht ó 8.50 r.n. – 9.10 r.n. Déanann múinteoir Colette má tá an máistir as láthair. Deanann Múinteoir Siobhán amchlár amach don chlóis agus don pháirc. Bíonn cúntóirí ranga san ospidéal. Bíonn ar na páistí dul go dtí an leithreas anseo. Níl cead acu bheith i seomra ranga nó clós na scoile a fhágáil gan cead ó duine fásta, gan feitheoreacht. Moltar do leanaí súgradh i gconaí i slí comhoibritheach, dearfach agus slán. 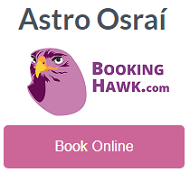 Tá Polasaí in aghaidh bulaíochta, cód iompair agus rialacha na Gaelscoile chun tacú le seo agus chun dea-iompar a spreagadh. Má tharlaíonn eachtra ar bith go mbaineann nadúr gnéasach leis, cuirfimid Múinteoir Méabh ar an eolas agus déanfaidh sí cuntas ar an eachtra agus freagracht a ghlacadh ar an mbealach cuí atá leagtha amach ins na treoirlínte don D.C.A. de chaibidil 3 agus 4. Beidh an Príomh Oide freagrach as conas ar leabhar rolla a líonadh isteach agus conas cúntas a choiméad sa scoil. Cuirfear na tuismitheoirí agus na leanaí eile ar an eolas faoi rialacha tínrimh – an tAcht Oideachais (Leas) 2000. Maidir le cosaint leanaí coiméadfaimid siúl ar leith ar nósanna maidir le neamhlaithreacht. Déanfaimid monatóireacht freisin ar neamhláithreacht a tharlaíonn ag an am céanna le comharthaí – faillí nó mí úsáid freisin. Tá sé seo clúdaithe faoin polasaí cuí. Déanfar gach iarracht cumarsaíd oscailte measúil a chothú idir múinteoirí agus daltaí. Má tá páiste buartha éistfear go báúil leo. Tá polasaí cumarsáide againn. Tá corás scagaidh ar an idirghreasán sa scoil a chuireann cosc le teacht ar shuíomh mí-oiriúnach ar bith. Ni ligfear riamh do phaistí dul ar an idirlíon gan féitheoireacht dhuine fásta. Tá Polasaí don Úsáid Inghlachta idirlíne againn sa scoil, chomh maith. Beidh na múinteoirí ar dhualgais sa chlós ar an eolas faoi chuairteoirí ag teacht isteach sa chlós scoile agus gheobhaidh siad amach cúis na gcuairteanna sin, déanfar féitheoireacht ar na daoine sin agus iad i mbun a gcuid gnó. Aon duine ar thaithí oibre, cleachtadh múinteoireachta srl. cuirfidh an Príomh Oide gach duine in eolas faoi/fúthi, ar an mbord sa seomra foirne, nóta leis an leabhar rolla srl. Tá polasaí in aghaidh bulaíochta ag an nGaelscoil. Má cheaptar go mbíonn drochiompar gnéasach i gceist (nó má cheaptar) cuirfear an t-ábhar ar aghaidh chuig an D.C.A. Déanfar gach réamhchuram chun a chinntiú go mbíonn leanaí slán ach tuigimid go dtarlaíonn timpistí. Tá leabhar timpistí againn agus coimeádtar cuntas cuí ann. Téann páistí na scoile ó Rang I ar aghaidh ag snámh go linn an Watershed gach Céadaoin. Déanfaidh na páistí línte eagraithe roimh dhul. Cabhróidh tuismitheoirí sa seomra feistis mas ghá. Ní iompraíonn Múinteoir páistí ina (h)aonar ina ngluaisteáin. Gan dabht bheadh cásanna eisceachtúla ag baint lena leithéid ag am práinneach ar leas an pháiste agus páiste i mbaol. Moltar 3 sa charr. Má tá Méabh an D.C.A. 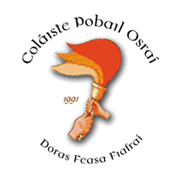 as láthair beidh Colette freagracht as na Múinteoirí – foireann breise nua a chur in eolas faoi Treorlinte Children First 2011. Tabharfaidh an D.C.A. cóip don bpolasaí do gach mhúinteoir nua. Tá plean O.S.P.S. déanta sa scoil agus tá post i bhfeighil ar seo. Leis an bplean seo tá ‘Walk Tall’ agus ‘Beo go Deo’ an agus am ciorclach. Déanfar cinnte do go bhfuil atmásféar oscailte, uilchneasúil, chothram agus daonlathach sa scoil. Gach Bord Bainistíochta nua – caithfidh siad an D.C.A. a ainmniú agus leas D.C.A. – beidh siad i bhfeidhm mar D.C.A. go dtí go gcuireann an Bord Bainistíochta duine nua i bhfeidhm.